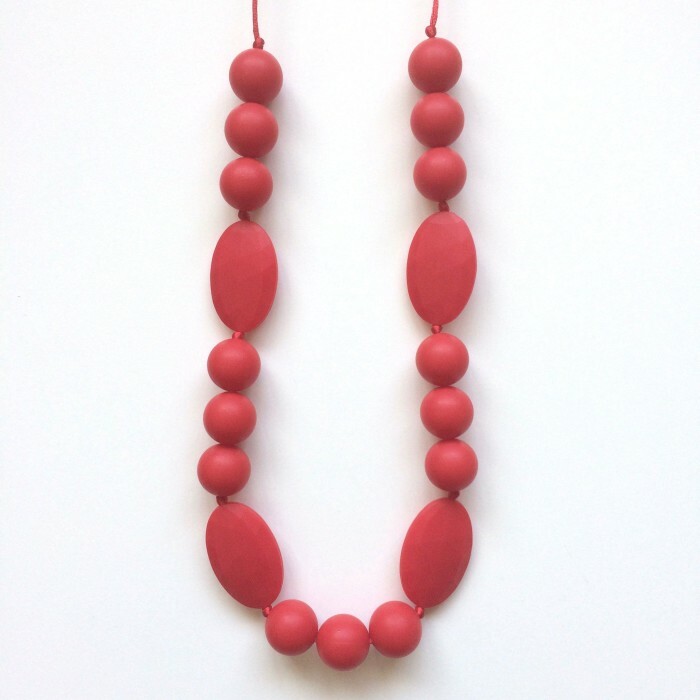 Elegant and bold, our Jambu beads Chelsea Necklace features a combination of round and flat oval beads made with BPA free, non-toxic food grade silicone. 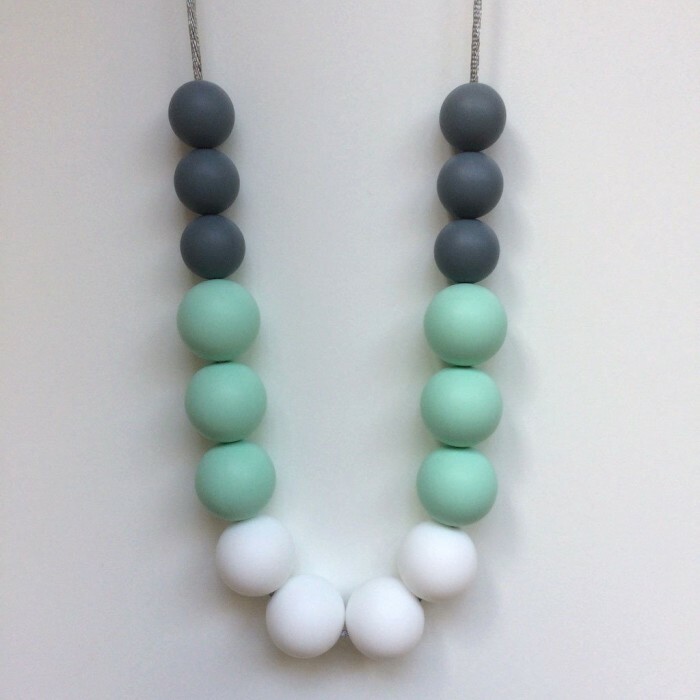 The perfect texture for chomping on or simply fiddling with, these beads will help keep baby focused while feeding, and curious little hands and mouths busy while baby wearing or just enjoying a nice cuddle with mum. 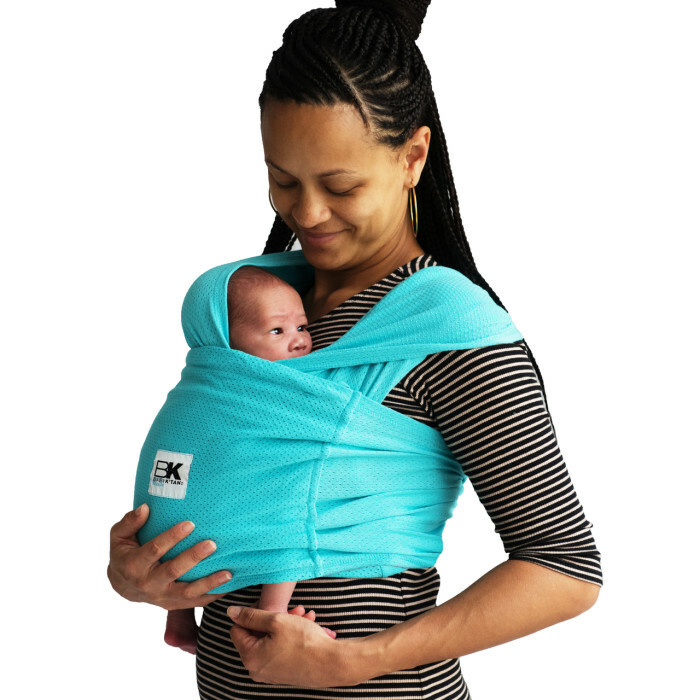 Attach it to the Baby K’tan Baby Carrier for your little one to play with while on-the-go, or just wear it as an accessory to spice up your outfit! 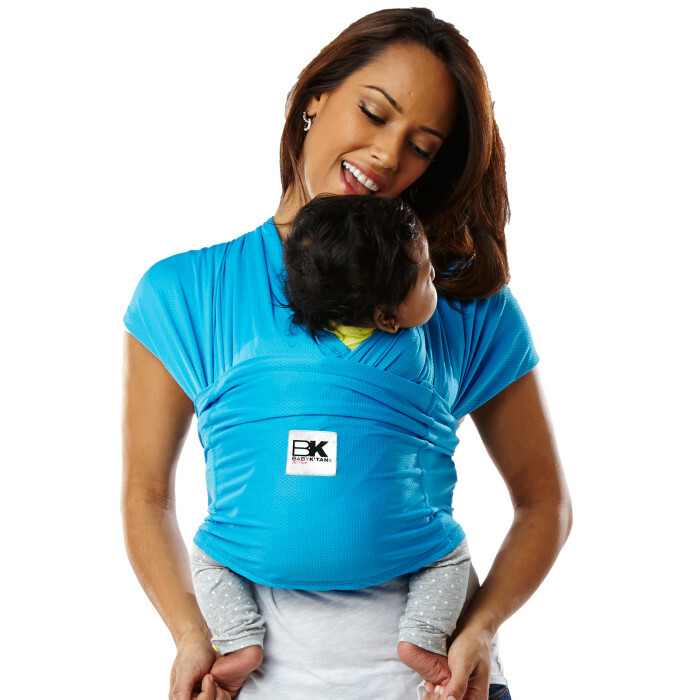 SKU: JMB-NL-Chelsea-RD. 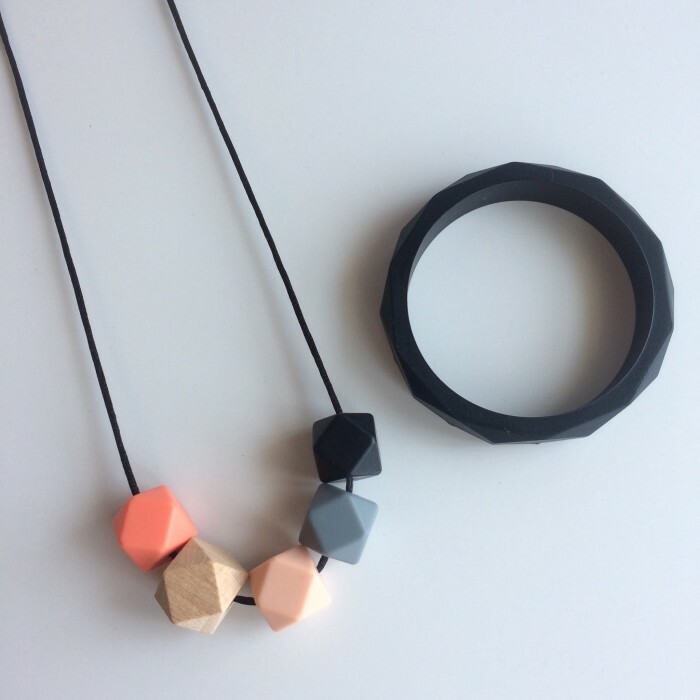 Category: teething jewellery. Tags: baby friendly jewellery, baby safe jewellery, Jambu Beads, silicone jewellery, teething jewellery, teething necklace.